Erika and Ian have been taken by the greys. They have been infected by a virus and have to find the antidote. Tex has caught the eye of the alien queen. She is showing him how compatible they would be together as long as his human side disappears. And Jack has been left on Earth. With the greys attacking it is up to him to protect those that held him against his will. There is a lot happening in this story. But it is not that hard to keep up with the different characters. I love how the chapters have each person’s name so you could follow along. There is a lot of action and some great fight scenes and what would you expect from a race of aliens that would rather eat us than help us. 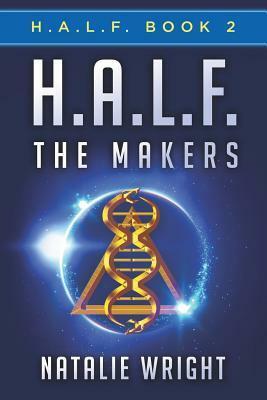 I loved this book but I do recommend starting this series with book 1, H.A.L.F. : The Deep Beneath. It did take me a little to catch up to the story but I will say that the glossary in the beginning did help. If you want a great alien story that will keep you reading into the wee hours of the morning, look no further. This is a great book. Now I’m going to read The Deep Beneath to get caught up. To purchase H.A.L.F. : The Makers make sure to check out Amazon, Barnes and Noble, Goodreads and Natalie Wright’s website. I received H.A.L.F. 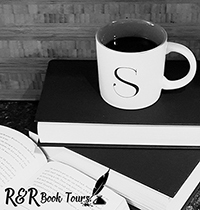 : The Makers for free from Sage’s Blog Tours in exchange for an honest review. Thank you for hosting me today and for the lovely review! You are welcome. Thank you for the wonderful book! !